I used to play Nintendo's Vs. 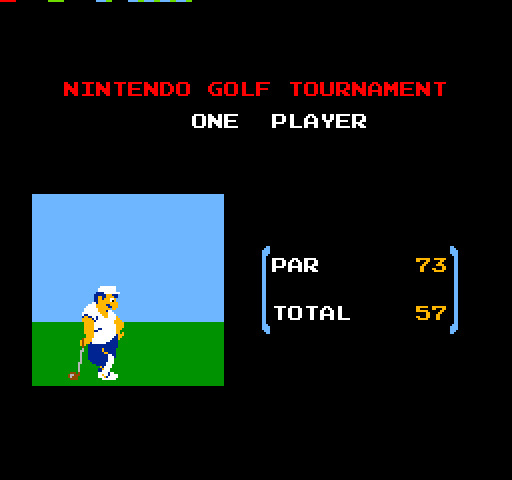 Golf back-in-the-day-when-you-could-actually-play-it-in-the-arcades. 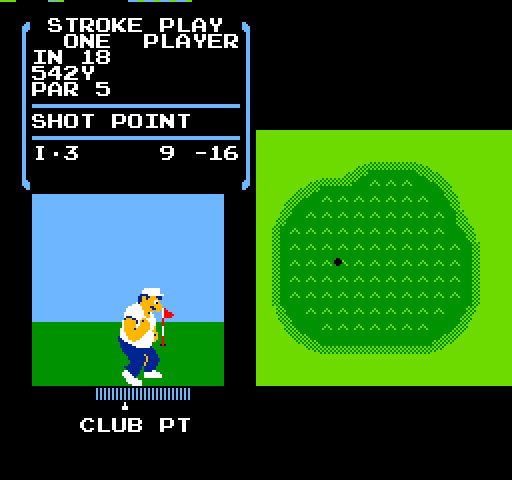 That was 13 under par (the course changes, so the overall par changes as well). Recently, since I got MAME running again properly for the first time in years, I've been playing it again. I've gotten to where I can birdie every hole on the course... just not always in the same game. Just two more... (and yes, I did miss two putts). Admittedly, one hole was actually an eagle, and three were pars, but one of these days, I'm going to shoot 18-under. Nice! What are you using for MAME now? QMC2 4.8.7 with SDLMAME .181. Part of the problem was that my ROMs were all ancient, but I found a non-torrenting solution for that. Thanks! I have 4.8.7 on my mini as well, though with .169. I'll have to see if my HiDPI issue has been fixed in .181. FYI - this site's building current versions of MAME for macOS and Raspberry Pi. Don't know if its any different than SDLMAME. Close again... had two eagles, and still couldn't quite get there. Missed one very makable putt. Hit a hole-in-one yesterday, too. I have all of the pieces, just can't get them all put together at the same time.